The dressing rooms, which were usually pretty quiet between shows, were all a-flutter. Every Rockette was talking and primping, applying another set of eyelashes and a fresh swipe of lipstick. The reason for our excitement? 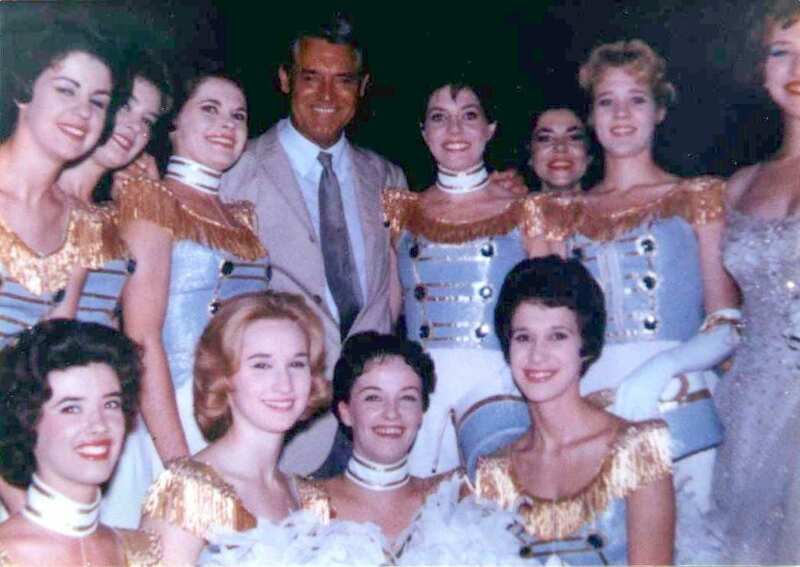 Drop-dead gorgeous actor Cary Grant was coming to Radio City Music Hall. 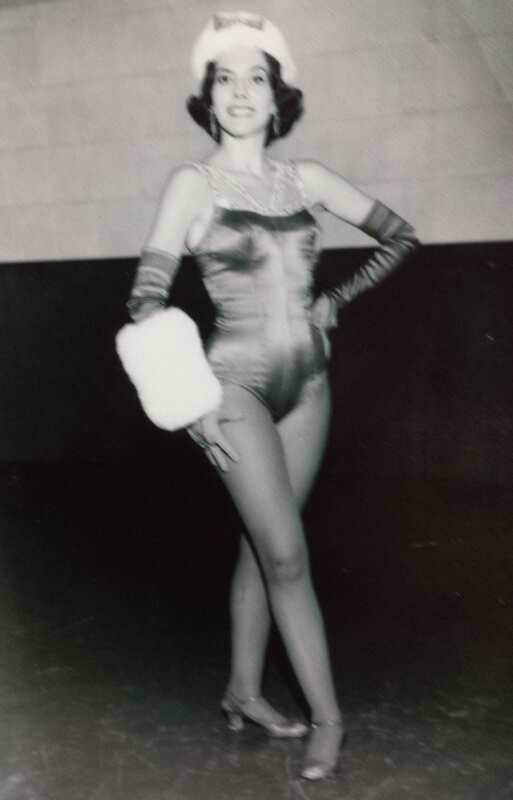 In the early ’60s when I was a Rockette (and even before then! ), Radio City Music Hall was a popular venue for filmmakers to premiere a new flick. Star appearances before the movie were not uncommon, so Cary Grant was at the Hall to promote his new movie, That Touch of Mink (1962). Many of us who loved Cary Grant would watch the movies between shows in our own theatre backstage. I must admit, although I was only 20 years old, I had a “thing” for him. As we were putting our costumes on for the 2 p.m. show, we were informed that Cary had just arrived and was standing in the wings on stage right. “Oh my Gosh,” I thought, “He’s on my side, how will I be able to dance?” The overture started and we quickly made our way down to the stage, taking the elevators from the 3rd floor dressing rooms to the stage level where we took our places behind the curtain. As the curtain went up, we started marching toward the audience all in unison. We were supposed to be looking straight ahead, but on this day, in this particular show, 36 heads were looking stage right … for there in the wings was Cary Grant! When I spotted him, I forgot the next step and marched out of line. The girl next to me forgot to turn on cue and was the only one facing front as 35 other girls faced back. Another one of my Rockette sisters couldn’t catch up to her line in the show-stopping wheel formation. Despite our mistakes, we got a good laugh from the audience, as well as from our handsome guest in the wings. The famous precision dancers were not so precise at this show! When the curtain finally descended we laughed and rushed off stage right to get a little glimpse at Cary. Well, I did more than that. This was the chance I might never have again. Before I melted, I was able to say, “Could you please wait a few minutes while I get my camera? I would love a picture with you.” He of course agreed, and said he would be delighted. I bolted up to my dressing room for my little Kodak camera. When I handed the camera to one of the stagehand, I placed myself next to Cary and put my arm around him. He did the same to me. I almost fainted. But then all of a sudden I heard, “Wait for me, wait for me.” It seemed to echo throughout the backstage area. About fifteen Rockettes began crowding around us to get into the photo. I didn’t care … his arm was around me! After the picture, I shook Cary’s hand once again. “I’ll send you a photo if you would like,” I said. He reached into his wallet and gave me his card. “I’d like that very much, Sondra. Thank you.” He gave me a quick kiss on the cheek and left. I was speechless. Cary Grant had just kissed me! The other girls giggled and teased me. “Call him later, he’s staying at the Plaza.” As soon as I got back to the dressing room, three of the girls dared me to call him. As they gathered around the phone, I dialed the Plaza Hotel thinking I would never get through anyhow, so why get nervous. “Who may I ask is calling Mr. Grant?” the operator inquired in a distinct British accent. “Please tell him it’s the Rockette he just met at the Music Hall.” A slight pause, and then: “Hello Sondra, how nice of you to call. What can I do for you?” Dead silence. I had no idea what he could do for me. I began to stammer like a 10 year old. I hung up the phone, feeling elated that he even accepted my call, but chagrined over my stupid proposal. What was I thinking? A week later I sent off the photo with a little note. Two weeks after that, I received a beautiful autographed photo and a letter from Cary’s personal secretary thanking me for the photo, the invitation to dinner and asking me to please call him when he returns to New York in three weeks. I never called him or saw him again, but the photo taken backstage was blown up to poster size several years later when I opened my own dance studio. It stayed there for the 25 years I owned the studio. I retired as a dance teacher last year, but the memory of that day with Cary’s arm around me is as vivid in my memory as though it were yesterday. Sandi Bloomberg was a Rockette from 1958 to 1962 and is the author of Me, Myself, and OY!. She currently resides in Melville, N.Y.